The new year has brought a bunch of new “series” for my blog. I’m happy to introduce you to Friday’s Bucket List and for the first “trip” we’re going to Tuscany! Tuscany has been a long time dream of mine, and I hope to make it there in the next year or two. The wineries, the gorgeous scenery, the food, and the people. Seeing movies like Love Actually, Letters to Juliet and Eat, Pray, Love only served to fuel the fire and cemented Tuscany firmly on the bucket list. 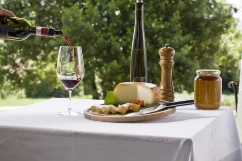 Taste Trail in the Val di Merse — Gently rolling hills, olive groves, and vineyards! What could be better? This area is located in the southwestern part of the province of Siena between Tuscany and the Maremma coast. It’s enclosed in the valleys of three rivers, the Merse, the Cecina and the Elsa. Tell me you don’t want to hop on a plane right now too? Wine Trail of the Pisa Hills — Through the Tuscan countryside filled with small downs and trails through farmlands, hills and valleys. Just imagine riding a bike through this beautiful area. Near the sea shore and more small towns with great wine and food. There is definitely a pattern here right? Just about any time of year would bring a varied and beautiful landscape to enjoy. 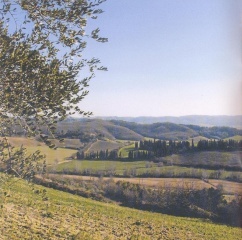 Olive Oil Trail of Monti Pisani — This visit would take you through the Pisa Hills which divide the plains where the cities of Pisa and Lucca are located. The trail itself would take you through the Pisa side including the towns of Buti, Calci San Guiliano Terme, Vecchiano and Vicopisano. 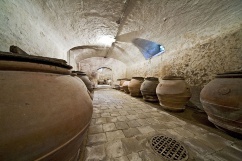 Besides olives, also grown in this area are chestnuts, mushrooms and honey is raised. I’ve enjoyed my research for this little trip through Tuscany, and now my mouth is watering for more. Next week we’re off to Paris…ooh la la! I hope you’ll share some of your bucket list vacations – which of course will most likely add to my list! But for now I must say Ciao!